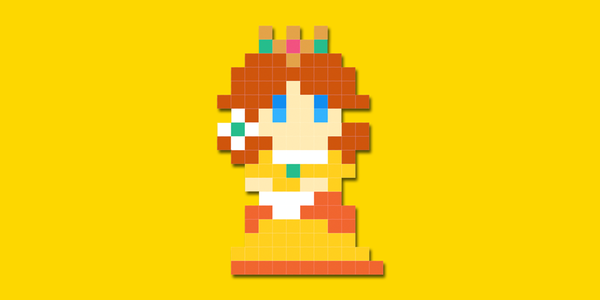 Princess Daisy is Finally in Super Mario Maker! It’s been a while since Super Mario Maker was first released, but now Princess Daisy from the Mario series has been added as a costume Mario form in the game. Conspicuously missing from the game despite the presence of Waluigi and Rosalina from the same franchise, her fans have been asking for her to be added to the game for so long they nearly gave up on the whole idea. So how do you unlock her? Well, by beating another event level, of course! The level itself will be made available from the 15th of January 2016, and may or may not have anything to do with Super Mario Land. What do you think of her inclusion in the game? So a pigeon, a mercedes benz, and a majohng tile got in mario before daisy. I am happy she was included. I doubt it had anything to do with the past hoax, but I am happy for this. [QUOTE="Kaynil, post: 4168, member: 104"]Nice.